I’m happy to share with you another set of functional planner stickers: free printable Meeting planner stickers. 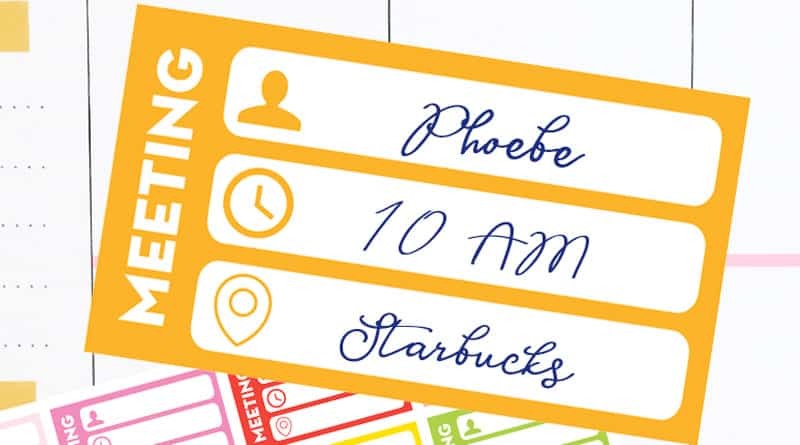 These meeting planner stickers will be perfect to remind you of your scheduled meetings, help you organize your days and keep track of all the important information. I left space for you to write down 3 types of info about your meeting: who are you meeting, what time and where is it taking place? 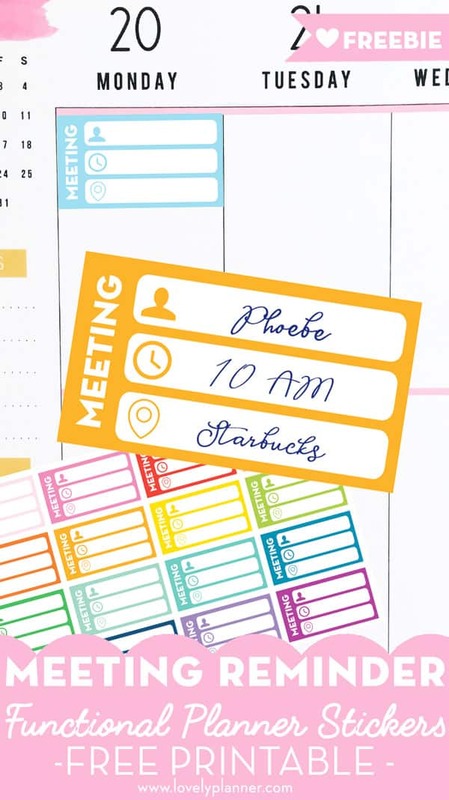 I hope these meeting planner stickers will be useful in your busy life. This free printable includes 36 individual stickers on one sheet, in 16 vibrant rainbow colors. Being 1.5″ wide, these stickers will fit nicely in most planners and fit perfectly in the Classic Happy Planner.